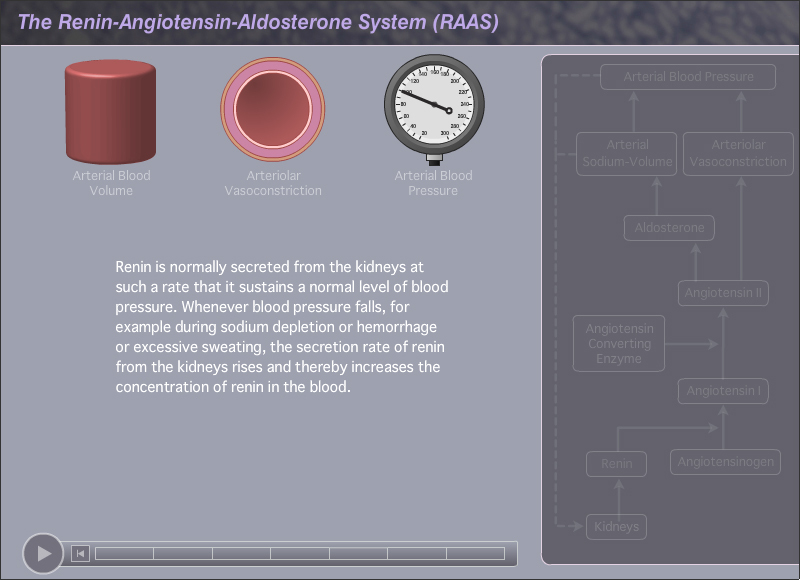 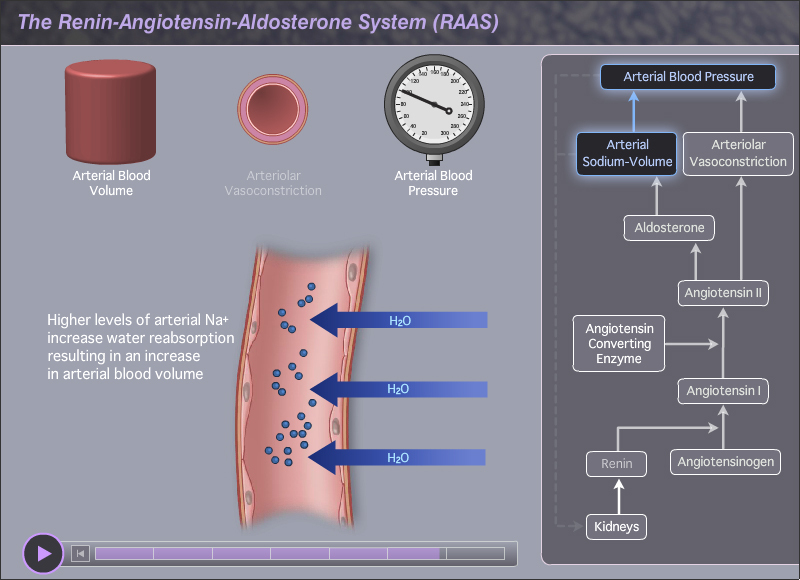 This interactive Flash module demonstrates the Renin-Angiotensin-Aldosterone System. 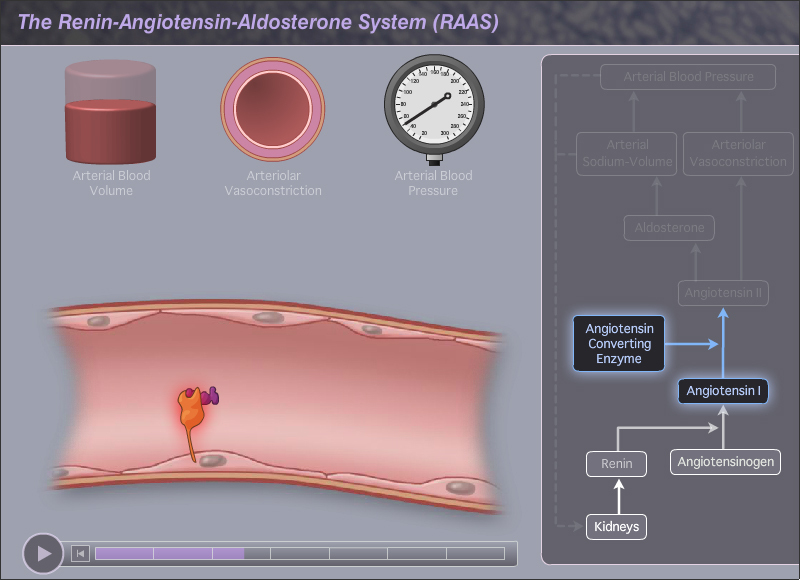 A series of short animations are used to visualize and clarify the process. 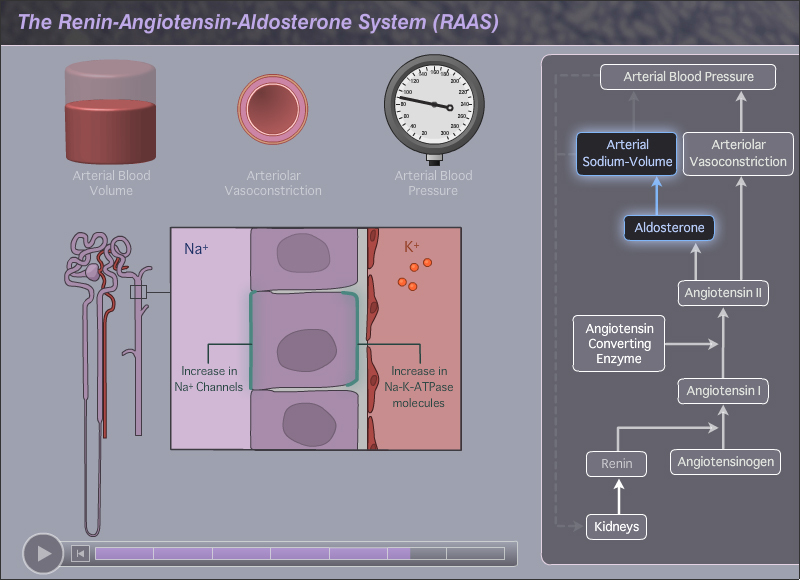 Simulataneously, the main steps in the pathway are tracked in the panel on the right.